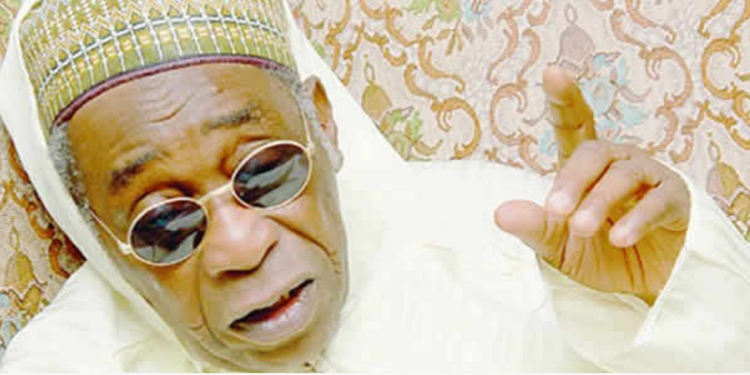 One of his sons, Mukhtar Maitama confirmed that the former minister died in a Cairo hospital 24 hours after arrival, Punch report. Muktar also mentioned that his dad’s remains would be flown to Nigeria for a befitting burial according to Muslim injunctions on Tuesday. Ambassador Maitama Sule was a Nigerian politician, acclaimed orator and diplomat who, in 1976 became the nation’s pioneer ombudsman. In early 1979, he was a presidential candidate of the National Party of Nigeriabut lost to Shehu Shagari. He was appointed Nigeria’s representative to the United Nations after the coming of civilian rule in September 1979 and he was chairman of the United Nations Special Committee against Apartheid. Maitama Sule was made the Minister of National Guidance in 1983.